There is no boom in coal jobs, despite what President Trump and his surrogates say. 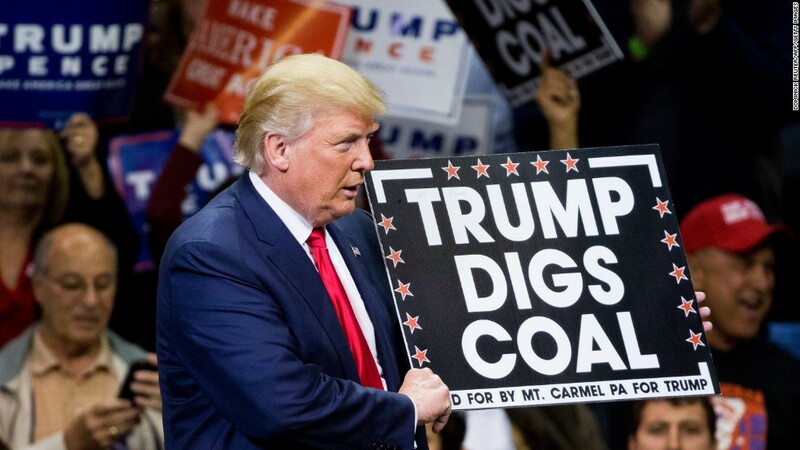 Trump has been promising that his actions to lift environmental regulations on coal will bring back coal mining jobs. "You're going back to work," Trump told a group of miners when he signed an executive order reversing limits on the use of coal in March. "Ready?" "We will put our miners back to work," he promised. "We've already eliminated a devastating anti-coal regulation." Vice President Mike Pence and Interior Secretary Ryan Zinke have also said that Trump's actions are bringing back coal jobs. The most bullish jobs claim comes from Stephen Moore, an economic adviser to Trump during the campaign, who now works as a contributor for CNN. He has said repeatedly that there have been 43,000 mining jobs added since Trump was elected president. While it is true is that the Labor Department figures show that 43,000 jobs have been added to "mining" jobs category since the final October jobs report just before the election, that category includes employment in oil and gas extraction, as well as traditional mining jobs. At least 21,000 of the new positions were in the oil and gas industries, or related businesses. Another 6,000 more are in nonmetallic mining and quarrying, digging for things like granite and marble. Only 1,300 jobs were added at coal mines. When CNNMoney walked Moore through the Labor Department statistics, he said that even 1,300 new coal mining jobs is good news for the battered industry. But, he conceded, "That's a lot less than 43,000." At the same time that Trump says he's trying to help coal, he's also signing orders that will boost the production of natural gas, which is cheaper than coal and poses the biggest threat to the industry and coal jobs. Indeed, not everyone in the Trump administration is gung-ho about coal. President Trump's chief economist, Gary Cohn, has publicly questioned coal's future. "Coal doesn't even make that much sense anymore," Cohn told reporters traveling with the president on his recent trip overseas. He added that natural gas is not only cheaper but it is cleaner. But Moore said that the use of coal should increase in the future, if environmental regulations are eased. "Coal mining has been highly affected by the price of natural gas. They're direct competitors," Moore said. "But it's also true the regulatory framework hurt coal. A reason to be optimistic about the future of coal is you no longer have a president who hates coal." Moore says even with cheap natural gas, coal is poised for a comeback. 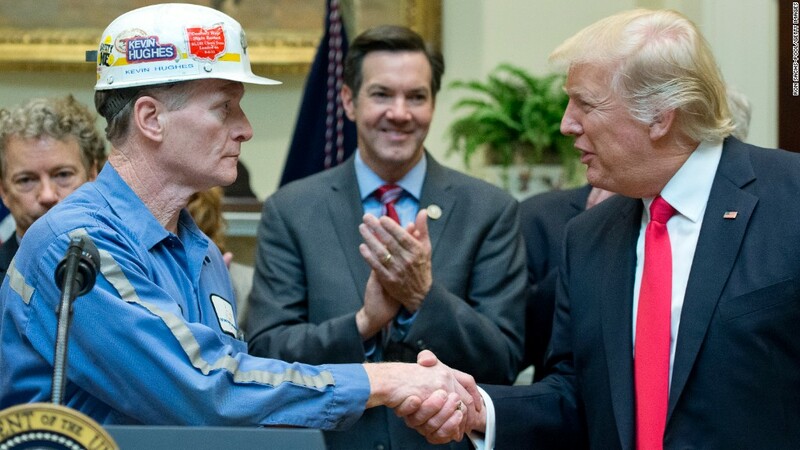 "The coal producers are getting a lot better in terms of mining techniques," he said to CNNMoney. "They're adapting to the new normal of very cheap natural gas." But Moore also conceded that greater efficiency means mining more coal with fewer miners. - An earlier version of this story misspelled Gary Cohn's name.